I think Squirrel is heading for a cull Stroller. This is so successful that it`s been taken back by Mitchells & Butler and it will go back to being a trad. 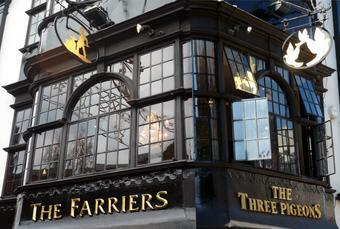 pub, thank goodness its also going to get its true name back,rock on "The Three Pigeons"
Look out Squirrel your next. Bit boring and pretentious but ok beer tho. 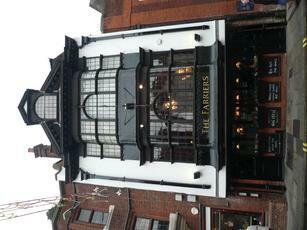 This used to be the Three Pigeons but never went in under that ownership. 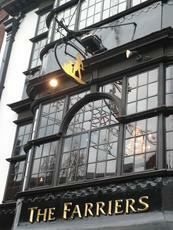 This is quite nice pub in Guildford town centre. The interior is very ornate and has quite a plush feel to it. There were two ales on tap - Wadworth 6X and a Ringwood Brewery so I opted for a pint (�3) of the latter. Also had a brie & bacon sandwich which at 6 quid I did think was a little steep though it was quite nice. The staff were friendly but the sandwich did take quite a while to arrive. I wouldn't make a beeline to come here for an evening out but it is a decent enough pub for a lunchtime or afterwork drink.